Orange you glad there’s a holiday devoted to your favorite gourd? October 26 is National Pumpkin Day! It’s also National Pretzel Day and National Mincemeat Pie Day. I’d have loved to grabbed a pretzel and called it good – it doesn’t get much easier than that, and we’re on the road in Denver this weekend – but we already celebrated pretzels back in April. Duplicate food holidays annoy me. And I’m not much of a mincemeat fan, so pumpkin it is! But we’re going to pass on the obvious, pumpkin pie, because there’s a special food holiday devoted to that particular dessert (December 25, of all days)! Fortunately, pumpkin-flavored anything is all the rage these days, so it wasn’t difficult to find a way to celebrate this holiday, even from the road. Pumpkin is derived from the Greek word pepon and means “large melon.” It is a type of winter squash native to North America, and traditionally refers to round, orange varieties of squash that are commonly carved into jack-o-lanterns for Halloween, and made into pies in the fall months, when they are ready for harvesting. They are one of the most popular crops in the U.S., with 1.5 billion pounds being produced annually; top growing states are Illinois, Indiana, Ohio, Pennsylvania, and California. Most parts of the pumpkin are edible including the shell, seeds, flowers, and leaves. They were a Native American staple, and were cut into thin strips and roasted over a fire to serve as sustenance during the long, harsh winters. The flesh was roasted, baked, parched, boiled, and dried, and the seeds were used as a type of medicine. Even the hard shells did not go to waste; these were used as bowls and containers to store grains, beans, and seeds. Columbus brought pumpkin seeds back with him to Europe, but these were fed to pigs and were not seen as fit for human consumption. 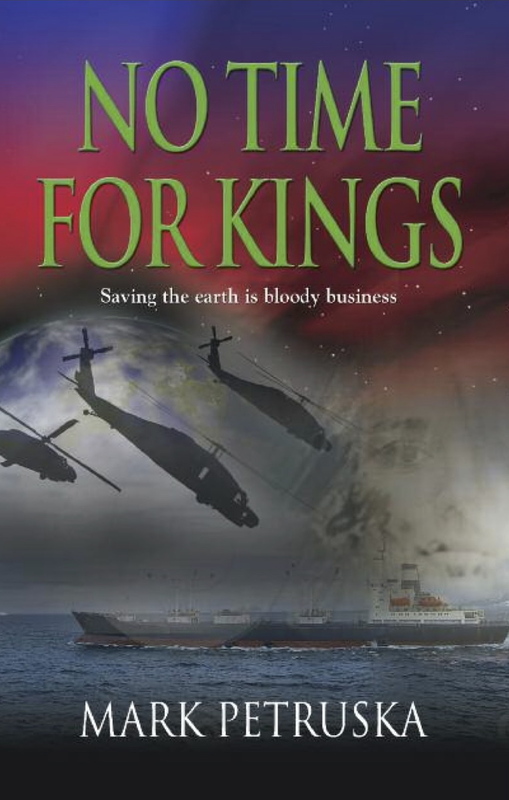 Ol’ Christopher was wrong. Pumpkins are delicious! 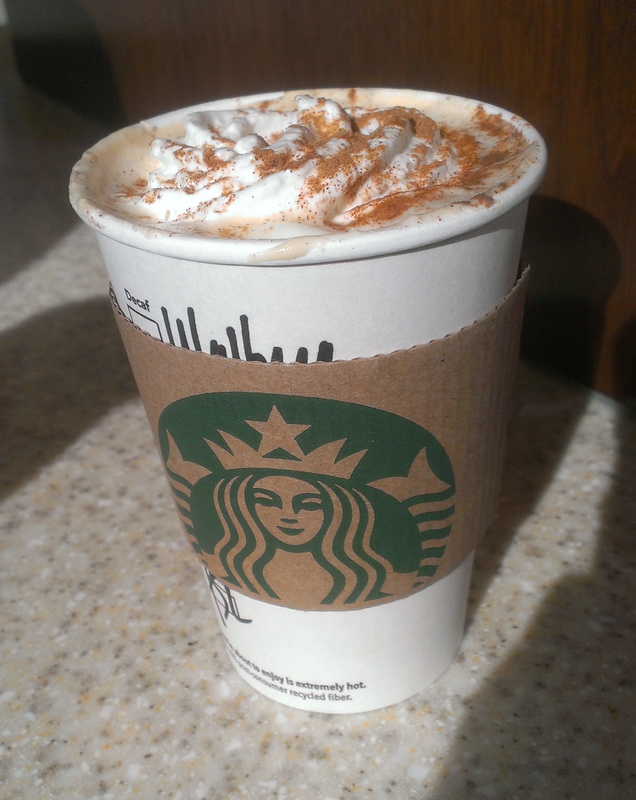 We celebrated by grabbing a pumpkin spice latte from Starbucks this morning. This seasonal favorite is always highly anticipated when fall rolls around, and today’s tasted extra delicious! Stay tuned for a special announcement regarding Eat My Words tomorrow. I don’t mean to step on any toes today, but we are going to celebrate a quintessential autumn dish. September 7 is National Acorn Squash Day! You probably think acorn squash is a vegetable. That’s the kind of thinking that’ll get you tossed off the island, mister! (If you were on an island and you’re a man). Fact is, much like the tomato, it’s technically a fruit dressed up like a vegetable. In other words, an impostor. Squash is indigenous to North and Central America, and was one of the staple food items of Native Americans, along with beans, corn, and strawberry Jell-O. Named for it’s shape – that’d be an acorn, not a corn – acorn squash is related to zucchini, but much smaller in size. It’s typically dark green with a splash of orange, and has distinctive ridges across its surface. The flesh is yellow-orange and sweet. Acorn squash is best baked, and often served stuffed. It can also be sauteed or steamed. Just be sure to remove the fibers and stems before cooking. Unless you happen to like fibers and stems. If that’s the case, go ahead and leave ’em in. It’s your digestive tract. Other names for this fruit include winter squash, žalud squash, agern squash, ng bunga ng oak kalabasa, courge poivrée, eichelkürbis, makk squash, acorn leiðsögn, squash dearcán, squash ghianda, zīle drūzmēties, gilė skvošas, Żołądź squash, abóbora, ghindă squash, calabaza, acorn boga, ekollonsquash, meşe palamudu kabak, and sboncen fesen. We had never tried acorn squash before, though I buy it almost every year. Like candy corn, it’s a festive way to celebrate fall (and Halloween). I often have decorative gourds on display. We baked it, with a little butter, brown sugar, and maple syrup – the recipe follows – and served it as a side dish with some fried chicken and potato salad. We were both amazed by how delicious it tasted! 2 Using a strong chef’s knife, and perhaps a rubber mallet to help, cut the acorn squash in half, lengthwise, from stem to end. Use a spoon to scoop out the seeds and stringy stuff in the center of each half. Score the insides of each half several times with a sharp knife. Place each half in a baking pan, cut side up. Add about a 1/4 inch of water to the bottom of the baking pan so that the skins don’t burn and the squash doesn’t get dried out. 3 Coat the inside of each half with 1/2 a Tbsp of butter. Add a dash of salt if you are using unsalted butter. Add a Tbsp of brown sugar to the cavity of each half. Dribble on a teaspoon of maple syrup to each half. 4 Bake in the oven for 1 hour to 1 hour 15 minutes, until the squash is very soft and the tops are browned. Do not undercook. When finished, remove from oven and let cool a little before serving. 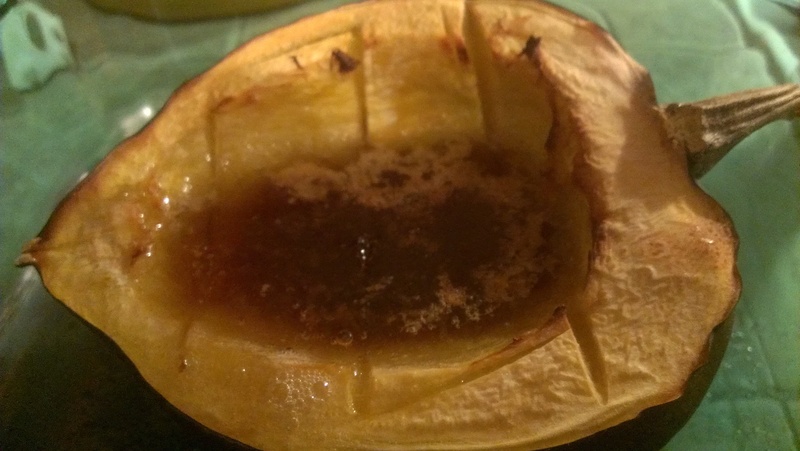 Spoon any buttery sugar sauce that has not already been absorbed by the squash over the exposed areas. Yield: Serves 2 to 4, depending on how much squash you like to eat. Squash your plans to eat any other vegetables today: unless they’re long and green, they just don’t measure up. August 8 is National Zucchini Day! It’s also National Frozen Custard Day, and that presented us with an interesting dilemma: there’s a frozen custard joint in town that churns out delicious, creamy frozen custard. But, with so many desserts on the calendar, whenever the opportunity arises to have something that isn’t sweet, we jump on it. Sure enough, the healthy choice beat out the far more decadent choice, and we decided to honor zucchini (which tend to get far too little respect this time of year anyway, growing to inordinately large sizes and ending up dumped on unsuspecting neighbors’ doorsteps in alarming numbers). The truth is, like tomatoes and Carmen Miranda’s hat, zucchini are technically a fruit, not a vegetable. I actually failed to mention this fact on National Zucchini Bread Day, but did cover the history of the squash itself, so click on the link if you want to know how/where it originated. We didn’t want to repeat ourselves and bake zucchini bread again, so we got more creative this time. I like the challenges where we repurpose the main ingredient in unexpected ways, straying from the obvious. 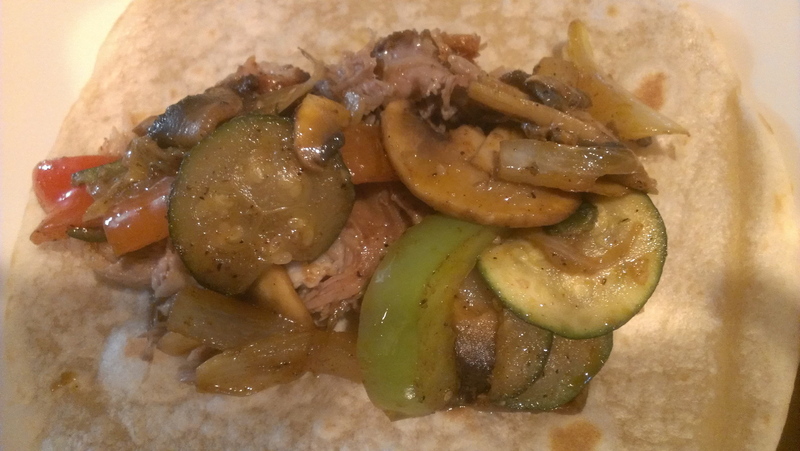 We made pork and chicken fajitas for dinner, and added sliced zucchini to our vegetable mix (peppers, onions, and mushrooms). Traditional Mexican? Not at all, but that didn’t matter a bit. It was delicious!